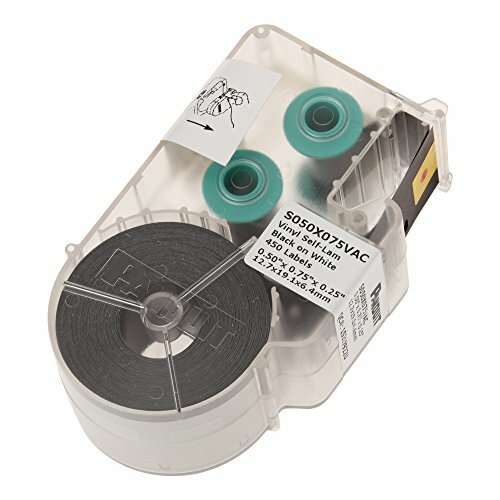 White print-on area, vinyl label for 10 - 6 AWG wire/cable, Category 5e/6/6A UTP and Category 5e FTP cable, 200/cassette. Fast loading P1 Label Cassette includes both label material and ribbon to make changing labels easy. Self-laminating adhesive labels for wire/cable identification include a colored print-on area and clear over laminate. Panduit is a world-class manufacturer committed to innovation and excellence. Today, Panduit is recognized as a leading manufacturer of high-quality products for wiring and communications applications. This reputation gives the company a powerful advantage in today's competitive worldwide marketplace.